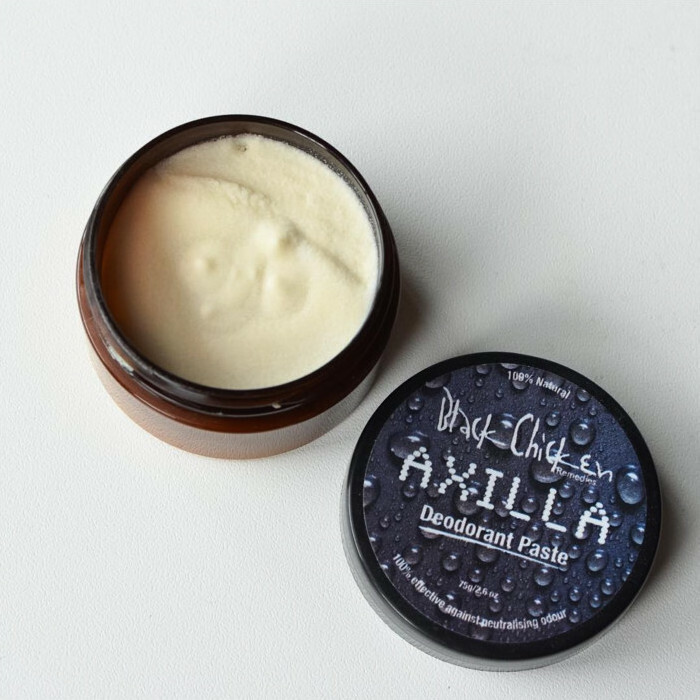 The Axilla Deodorant Paste by Black Chicken Remedies is an effective natural deodorant that is known to out-perform even the mainstream chemical-laden brands. 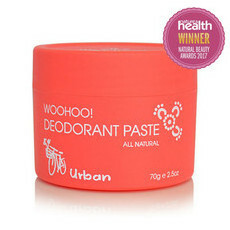 This paste keeps you fresh without inhibiting your sweat glands' ability to dispel toxins. It contains a unique blend of natural ingredients including Arrowroot, Sodium Bicarbonate and Organic Coconut Oil, which work together to absorb moisture. Axilla Deodorant Paste is very effective at neutralising odour* and keeping you feeling dry. It contains a mild, uplifting scent from essential oils of Peppermint, Lime, Clove and Lavender, which also provide an antibacterial, anti-fungal and antiseptic effect. Suitable for both women and men. Also available in a Bicarb Free version. Made in Australia, Gluten-free, Cruelty free, Vegan, Palm Oil free. *As published on the product package. As this is handmade, consistencies across batches may vary. Products may melt or harden due to weather conditions and appear grainy in texture - this is perfectly normal and won't effect performance. Coconut Oil, Lavender, Peppermint, Rose, Shea Butter, Vitamin E.
Use the tips of your fingers to collect a small amount and rub into underarms until it disappears. 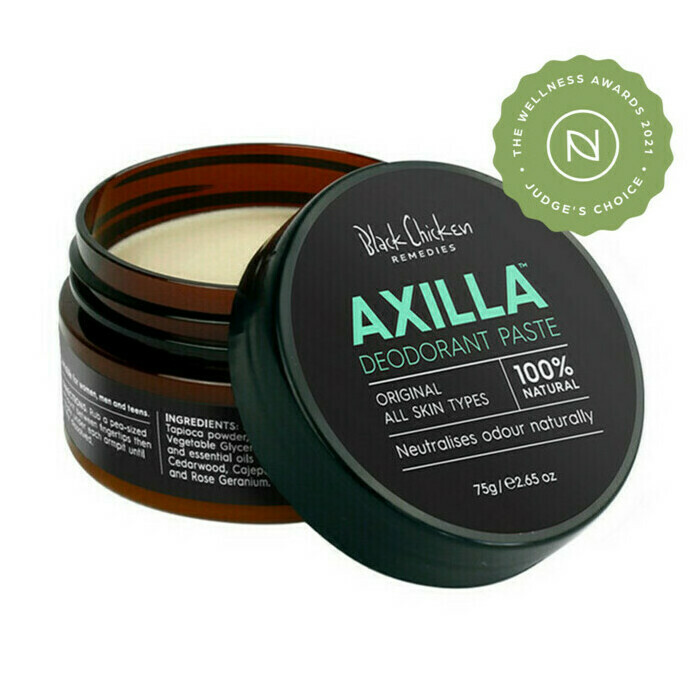 If you suffer from sensitive skin or extra sensitivity after shaving, please refrain from using Axilla on freshly shaven skin. 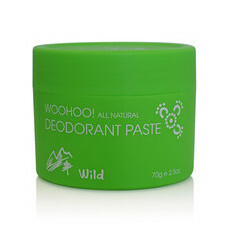 Really liked this deodorant initially - worked great when I started using in the summer, but after a few weeks I started having really bad skin reactions to it. 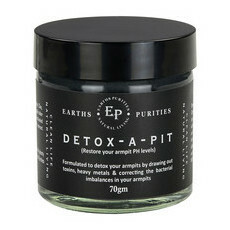 I did a week-long pit detox with "De-tox a Pit", but still had skin reactions after returning to this. My hunch is the bi-carb might be what's bothering me, so going to try their bi-carb free Barrier Booster next. Fingers crossed. Works better than expected. I got a sample and am happy with it. Just love this. Gives me all the confidence I need on a hot day.